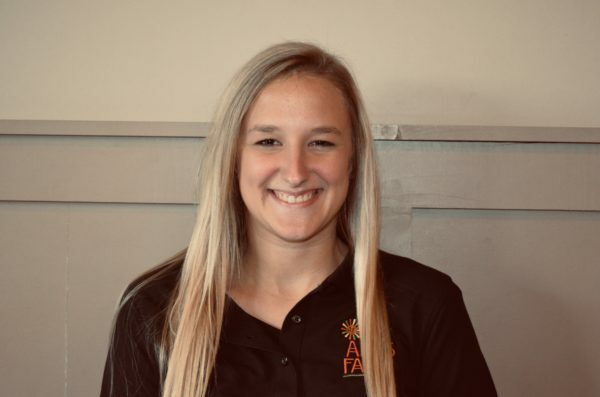 Kira joined the Ard’s Farm team this August and is looking forward to continuing to update the presence of Ard’s Farm on social media and bringing new events to the area! Kira was born and raised right here in Mifflinburg, Pennsylvania. She completed her undergraduate degree in Public Relations at Western Michigan University, where she also competed as a Division 1 gymnast for four years. Kira most recently worked in the professional sports industry in Harrisburg, Pennsylvania. Working with small businesses has always been a passion for Kira, and finding Ard’s Farm right down the road from where she grew up, seemed like the perfect fit! She can’t wait to plan exciting events for all of you, and of course keep you up to date about everything that is happening on the Farm on social media! If you have any questions about Ard’s Farm or what we have to offer, please message us on Facebook or contact us above and we will be happy to help you! Thank you for supporting our local business, and as always continue to check our website and Facebook page for upcoming events. Sign up for our e-newsletter to receive updates about the Farm and exclusive discounts for our market and restaurant.